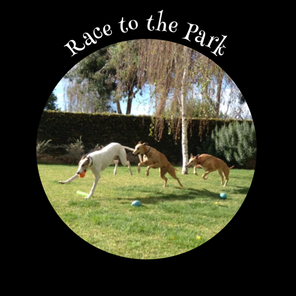 GreySave's May event is Race to the Park was be held on Saturday May 25th 2019 - The annual Race to the Park Greyhound gathering is our largest social and fundraiser event. 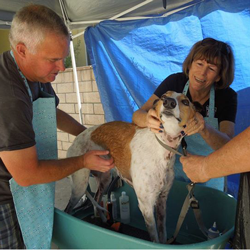 The usual attendance is around 300 human guests and about as many greyhound guests. 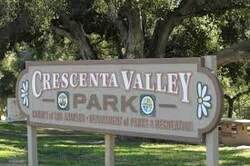 It will held again at the Crescenta Valley Regional Park, 3901 Dunsmore Avenue, La Crescenta, CA 91214 from 10 am to 3pm. 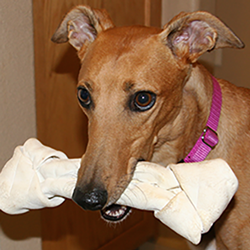 The Race to the Park event, like Oktoberfest features fun games and activities for your greyhounds and human companions, raffles with prizes, auctions of greyhound-themed items and the opportunity to visit with your four-legged and two-legged friends - and more! 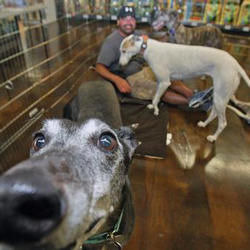 The summer Race to the Park event, does not have a costume party but instead it is the time of the year that we take the the annual senior greyhounds picture, so bring the senior hounds!! *PLEASE NOTE: Registration for Race to the Park is a 2-step process. 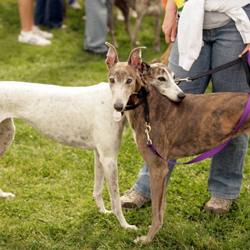 Both Race to the Park & Oktoberfest GreySave has greyt food and scrumptious deserts. Our volunteers often make pull out the old family recipe book and make their favorite deserts. If you have a flair for making a special desert and would like to share please contact Chuck or Jennifer DeGraffenreid and let them know what you will bring and share.